Trivikram Flowtech is a Partnership venture came into existence in the year 1998 while setting up its roots at Coimbatore,Tamil Nadu (India). 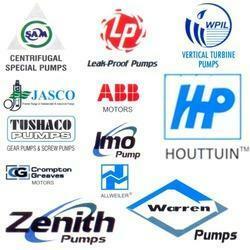 Based in South India, we are continuously creating benchmarks in the industry of Water Pumps. Our company involved in manufacturing, wholesaling and trading of Industrial Pump, Chemical Pump and Screw Pump. With our vast array of water pumps, we are not only rendering rich quality product, but at cost effective solutions as well. Our pumps are heavy duty with long life and come in safe packaging which makes them safer while shipment from any breakage an damages. Our products have find application in various industries such as paper, sugar, aluminum, Textile Dyeing Industries, Water Treatment plants, Chemical plants, Effluents plants, fertilizer Plants, Refineries, Steel Plants and Power station etc. Our qualitative analysis over market and rendering of qualitative products in the industry has enabled us to be the largest authorized industrial pump distributor Organization in India. With our referable payment gateways and safe shipment, we are creating places in the heart of our valued customers. Under the determined guidance of our mentor, Mr. Sathish, we have already achieved a noteworthy place of pride in the industry. His extremely sharp business insight and farsightedness aids us to scale the great heights of success. 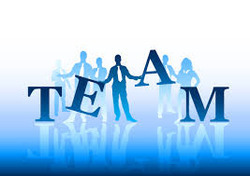 We are backed by a talented team of professionals that strive hard to meet the high expectations of our valued clients. They make sure that all the offered water pumps are in compliance with industry standards of quality and then dispatch at the customers end within the committed time frame. Owing to the dedication and sincerity of our workforce, our organization has been able to reach the immense heights of success. With years of experience in this industry, we know what our customers are looking for. There are a lot of reasons that gives us a competitive edge over the other organization. Our offered water pumps are highly admired by the customers for their long service life and excellent quality standards.